A star showing the recent quake's location. PORT HARDY, B.C- An earthquake shook the ocean floor west of Vancouver Island today. 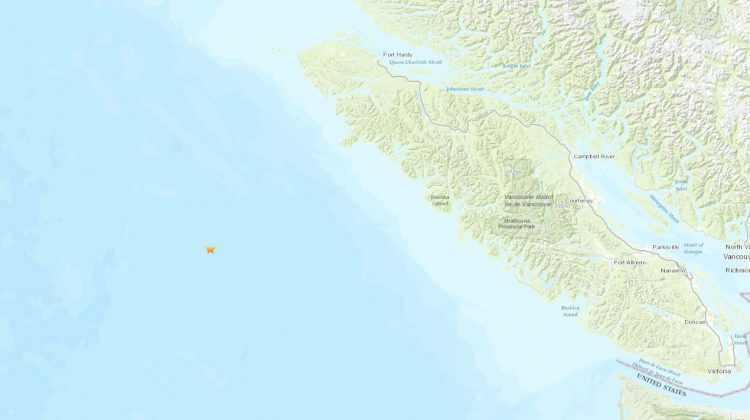 According to the United States Geological Survey, the quake took place around 12:30 p.m., 206 kilometres southwest of Port Hardy, at a depth of 11 kilometres. There were no tsunami alerts issued, and no reports of damages. The quake is the latest in a series of shakes in recent weeks.